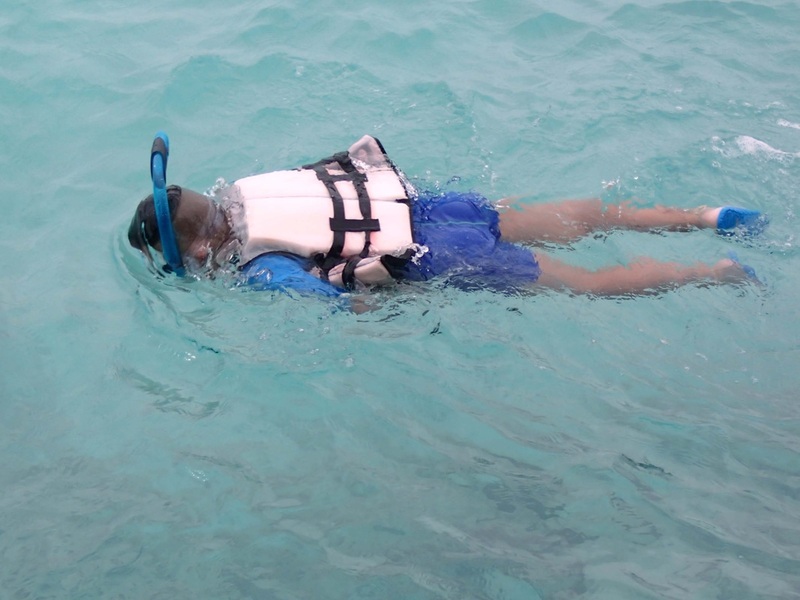 The snorkel allows you to float in the water and observe the variety of life in the water without having to lift up your head for breathing. Okay, the mask may be fogged, but this is currently my best picture of a snorkel. This snorkel has a small chamber (water collector) at the bottom and a valve that will open and allow the water to escape when you blow hard. The snorkel also have a valve at the top that will close when the snorkel is under water. In its simplest form is the snorkel a J-shaped tube with a mouthpiece. It is attached to the strap of the mask. Divers wear the snorkel on the left side, to allow space for the regulator on the right side. The snorkel must be short enough to allow you to get rid of the air you are exhaling so you can inhale fresh air. A snorkel that is too long will cause you to inhale used air. But if the snorkel is too short, you may swallow water instead. The breathing technique is to inhale and exhale deeply. The snorkel will fill with water when you skin dive or swim through a wave. When you surface again, blow out the water with a short, powerful burst. Then inhale carefully until you are assured that the snorkel is dry. 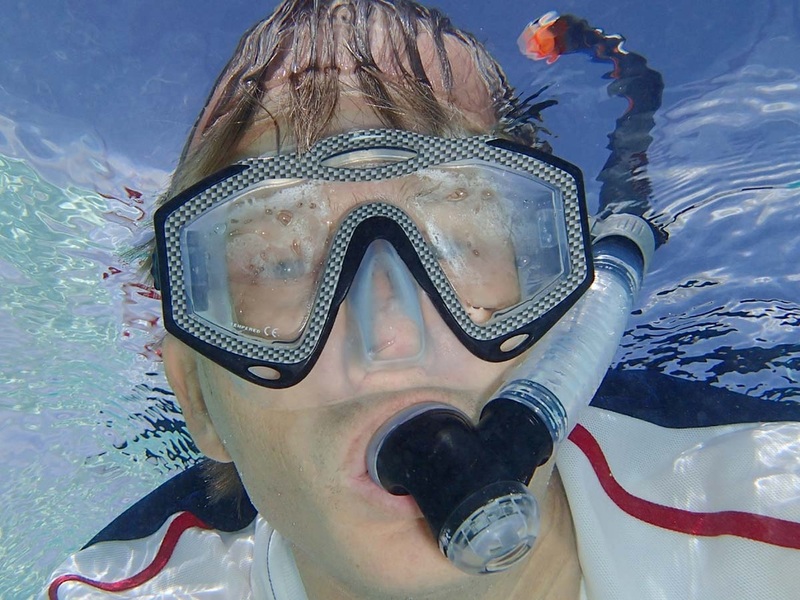 Most snorkels have a small chamber below the mouthpiece. This is a water collector that allows you to breathe even when there’s some water left in the snorkel. The collector may have a valve, which makes it easier to clear the snorkel for water. The most advanced models have a valve on the top. It closes when you dive, leaving the snorkel dry.